Connected forest harvesters that provide entrepreneurs with real-time data on machine location and performance, and process trunks so that the forest owner can be obtained best current value from the wood. Intelligent waste-to-energy cranes that allow plant managers to optimize the burning process and generate maximum amount of energy from the pit. Fully automated ports where hundreds of machines communicate seamlessly in converting the container material flow from sea to road and back. AI can be applied in virtually every industry that has any kind of data, and manufacturing industry is no exception. We can already now see that manufacturing industry is headed towards a new era of networked, information driven and autonomous value systems that flexibly adapt to changing operating environments and user needs. AI can be used to identify anomalies, patterns and trends that help people make informed fact-based decisions or even fully automate operations. But people, not technologies, are still in the driver’s seat. There are plenty of AI technologies out in the markets. But for AI to be useful, manufacturing companies need experts who understand the industry, know how to build the AI, and how to interpret the results so that AI properly augments our decision-making. Embarking this transformation journey alone can be slow, complicated and inefficient – and transforming companies to be data-driven can be challenging. 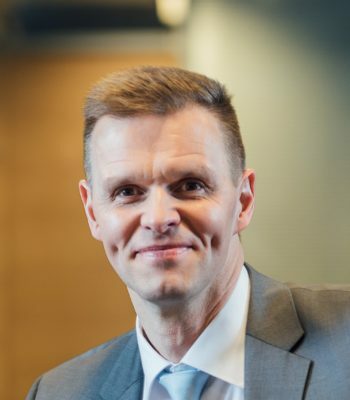 This is why DIMECC, high-tech ecosystem in Finland, has launched Intelligent Industry group that connects leading Finnish equipment manufacturers and providers of digital solutions to drive and to realize the opportunities of the emerging new era of Intelligent Industry. If digitalization is defined by transforming physical facts and functions into digital format, DIMECC’s Intelligent Industry Ecosystem focuses on refining this digital data into functional, physical products and services. Turning data into physical reality completes the circle. It fulfills the transformation of the manufacturing industry into an Intelligent Industry. And opens the flood gates for a seamless utilization of better, more effective, customized products and services. Through Intelligent Industry companies can gain a deeper understanding of customer needs, optimize the overall value system, make automated decisions, and take actions in real time. As a result, companies can achieve new levels of performance, improve operational efficiency and effectiveness, and create new revenue opportunities. The consultants of PwC go as far as to predict that AI-related growth will boost global GDP by $16 trillion by 2030. Making predictions is hard, but what we can be sure about is that AI changes manufacturing industry in ways that we cannot now image. The writer belongs to the ecosystem working group of the AI Finland Programme.